As one of my city’s biggest fans, I am unshakeable in my belief that the perks of South Florida living are, quite possibly, endless. We have palm trees, beaches with sand that is actually clean and water that is actually blue (looking at you, Daytona), sunshine almost year round, and a laid-back yet refined lifestyle duplicated nowhere else in the world. Ask anyone I know–I think this place is paradise on earth and proclaim, with nearly religious fervor, that everybody should live here. There’s a reason the hashtag #ilivewhereyouvacation is so popular with locals. Sitting near the top of my imaginary-but-long list titled “Things I love about living in South Florida and why I spend an unseemly amount of time trying to convince my friends and family to move here” is the fact that Key Largo–the first island in the archipelago making up the Florida Keys–is about 2 hours south of West Palm Beach. That means day trips to a tropical wonderland aren’t just possible–they’re easy. 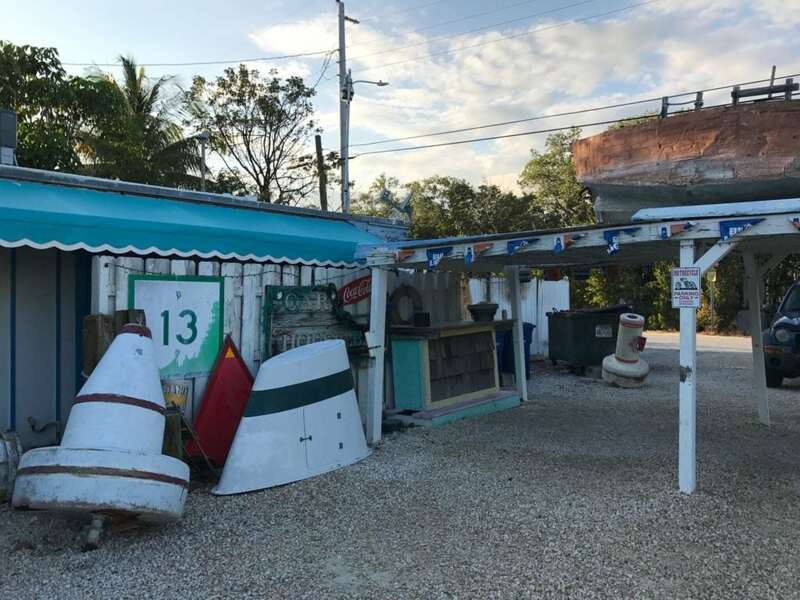 Everyone knows that tips from locals rather than tchotchke tourist traps make for the best experiences, and while I wouldn’t consider myself a local, I did spend many a childhood summer in the Keys with locals. Most of the places we frequented are still standing (except for The Quay, RIP) and still as fun as I remember. With that knowledge, below are the recommendations I’d make to any South Floridian planning a quick day trip to the Upper Keys. Nope–you don’t have to fly to the Caribbean to see water this azure. Get an early start. I’ll make this one short: there’s only one road in and one road out of the Keys, so if you pick a peak travel time, expect to wait in bumper-to-bumper traffic a very. long. time. Traffic, yes, but the view ain’t bad. Drive to the farthest thing first. 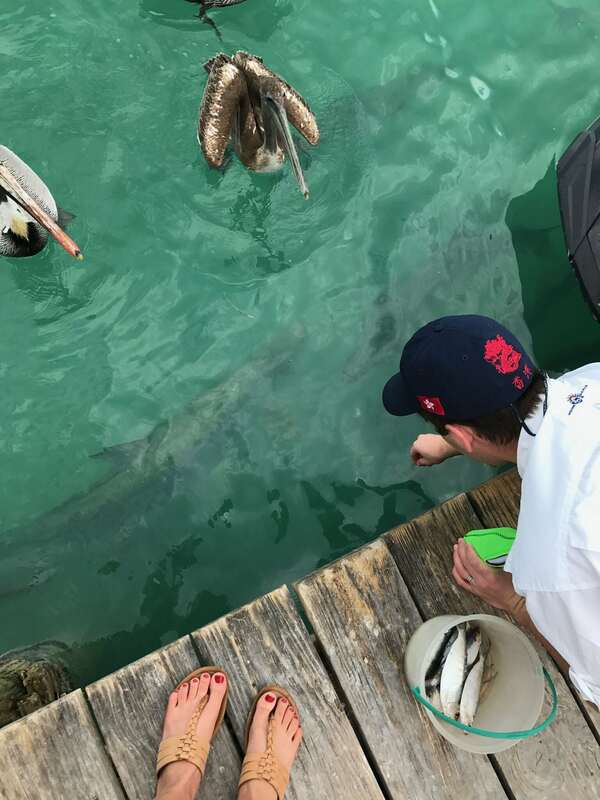 In our case, this was Robbie’s of Islamorada, where you can hand-feed tarpon twice the size of you. 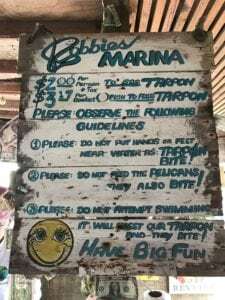 I would definitely call this a “must” on any visit to the Keys, despite how tacky and touristy it has become, because it’s just one of those experiences you won’t find anywhere else in the world. If you go outside of the summer months you’ll have to fend off flocks of pelicans, but the humidity isn’t as stifling and the heat isn’t as blistering, so pick your trade-off. Note: I wouldn’t recommend driving much further south than Islamorada; broaching three hours in a car begins feeling less like a day trip and more like a road trip to me. Condensed version: everything bites. Hand-feed anyway. 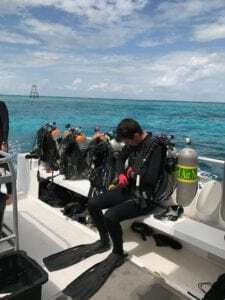 Book an afternoon snorkel/scuba dive trip out of Key Largo (in advance). Dive charters are a dime a dozen in Key Largo and they all leave from the same dock, but they fill up quickly. 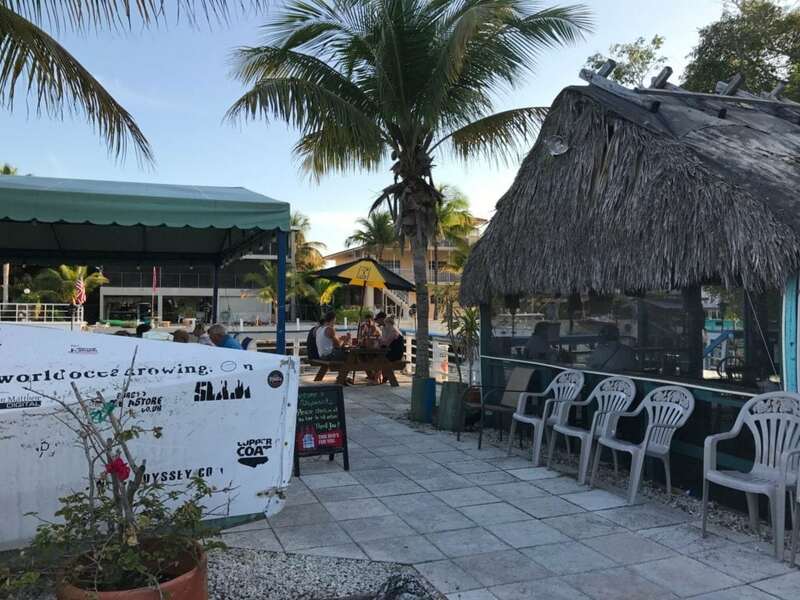 Make sure you book a trip that accommodates both divers and snorkelers (depending on your needs) and try your best to get on a boat heading to John Pennekamp Coral Reef State Park. Sea creatures are abundant in the shallow protected reefs, making for amazingly long and entertaining dives, and you may even get to see the world-famous Christ of the Abyss. 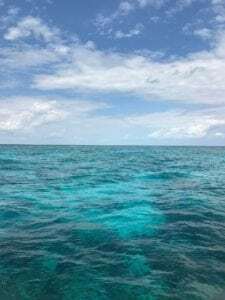 On a recent trip to Molasses Reef with Rainbow Reef Dive Center, we saw four sharks, a sea turtle, and fish in more colors than I knew existed! Helpful hints: Most of these dive companies will have all the gear you need available to rent. Allow for at least four hours (this will take up the bulk of your day). I meant it when I said dive bar. And shipwreck. Eat outside and enjoy golden hour by the water! 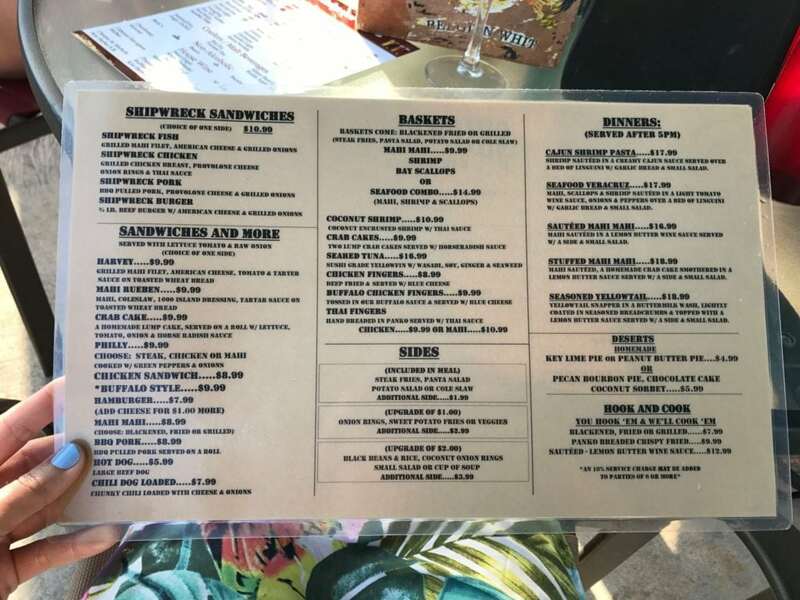 Shipwrecks menu–told you it was cheap. You’ll have a hard time finishing the $9.99 basket of mahi! These are my ingredients for a perfect day in the Upper Keys: a unique only-in-the-Keys experience, time underwater on the third largest barrier reef in the world, and delicious fish caught probably the same day in the same waters I’m overlooking as I eat. And the best part? None of those post-getaway blues: returning home is simply venturing from one tropical paradise/vacation destination to another. Count it as just another perk of calling South Florida home. Side note: Come summer 2017, you’ll be able to take the Brightline train from West Palm Beach (and, later, from Orlando!) 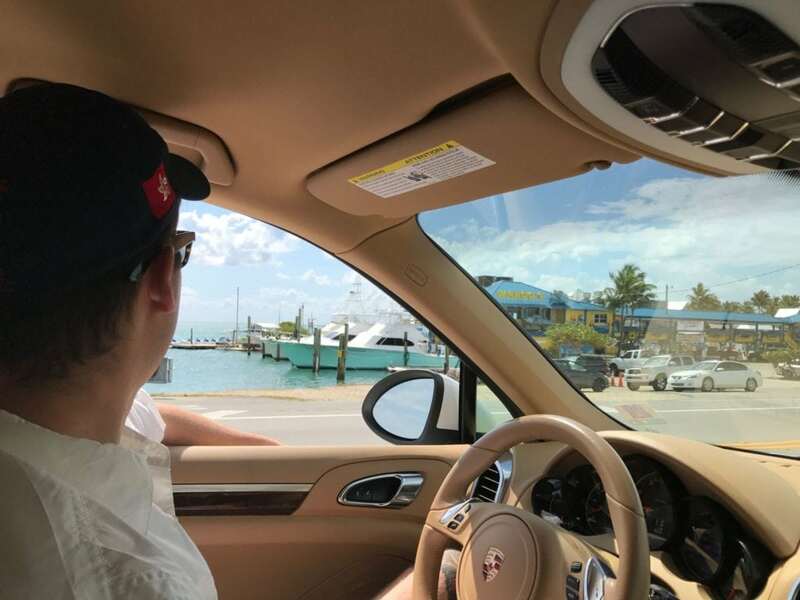 to downtown Miami in half the time–it won’t get you to Key Largo, but it will get you close!